Electric Linear Actuators | Baelz N.A. Precise, powerful actuators support control systems for equipment in countless industries, from complex electronic systems and displays to the simplest machines. Heavy duty machinery in manufacturing, mining, oil and gas, and construction rely on specialized actuator models for the right balance of speed, thrust, power, and precision necessary for daily operation. Electric linear actuators are part of a large family of specialty actuator solutions at Baelz NA including pneumatic actuators, motorized rotary actuators, hydraulic cylinders, and stepper motors. Ready for easy mounting on either campers or butterfly valves, electric linear actuators offer versatile performance and robust power. These components enhance control, even in harsh or demanding environments, and are carefully engineered to offer heavy duty force with high performance precision, continuous reliability, and low maintenance. Forklifts, hydraulic excavators, wheel loaders, and articulated lifts and dump trucks are just a few common applications for the stable, reliable lifting power of these components. Their lighter-duty counterparts can often be found in furniture, automotive, and manufacturing automation, as well as in custom robotics. The E07 series electric actuator is available with the 7020 Baelz digital positioner, designed to simplify operations for its users. 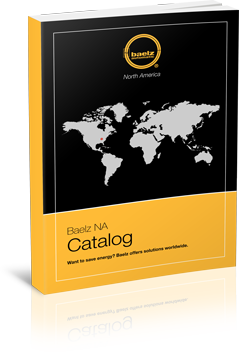 Baelz NA is proud to work with the team at W. Baelz & Sohn GmbH & Co. to furnish cost competitive, energy saving equipment parts throughout North America. We work to offer a full range of actuators as well as heat exchangers, engineered systems, controllers and control valves, automation skid packages, and more. 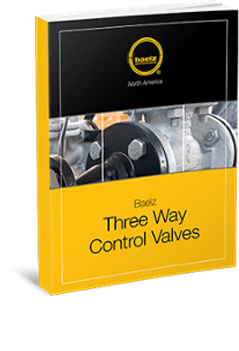 Since 1896, Baelz Automatic has stood for quality at its finest. As the official North American distributors, our team provides this high quality with the added benefits of local service and short delivery lead times. For specialized selection and customization assistance, reach out to our professional consultants today.